How Many Naps Does My Child Need? As parents we look at naptime as our break in the day to either rest or get some things done. 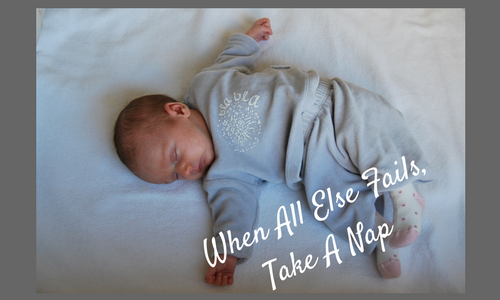 For those parents who have a child that doesn’t nap well or, heaven forbid, doesn’t nap at all, the struggle is real! As frustrating as that can be for US, it is also very hard on your child. Naps help to get your child to bedtime without being over tired. An over tired child will struggle to fall asleep at bedtime and often have a hard time staying asleep throughout the night. Getting your child to take long, restful naps can be a process and it requires consistency, along with making sure your child is getting the right amount of naps at the right time of the day. Knowing how many naps your child needs is an important place to start when improving your child’s sleep. It really comes down to the age and size of your child. **All naps should be 1.5 – 2 hours long. 1. Make sure the bedroom is really dark. Black out curtains are really great and aren’t too expensive. And don’t forget about all the little lights in your child’s bedroom. Even that little red light on the baby monitor camera can be enough to light up the whole room! 2. Have a nap time routine to provide transition time from days activities to going into their crib/bed. Just a little quiet time inside their bedroom before the lights go out. 3. Make sure your child is napping in their crib/bed each nap. It can be tempting to let the independent sleep rules be flexible for daytime sleep but remember; your child needs to fall asleep the same way each time he goes to sleep. Consistency is key to helping your child sleep well. Remember that sleep begets sleep. The better your child sleeps during the day, the better she will sleep at night. The goal is always to get your child to bedtime without being overtired.